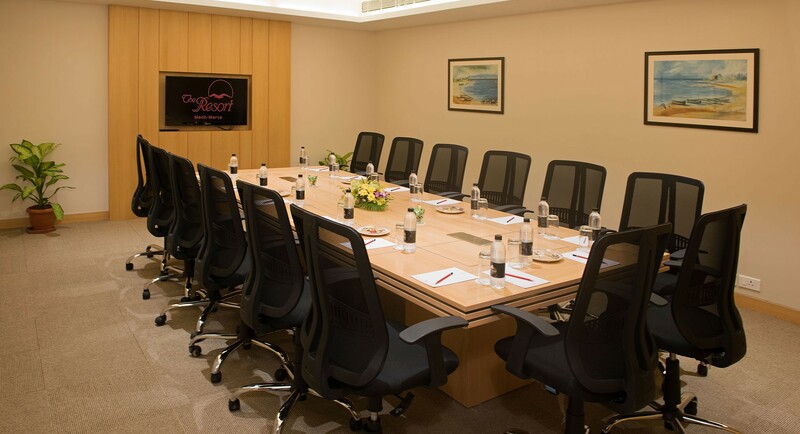 The Resort has nine spacious Banquets & Conference halls that can easily be converted to meet your every requirement, with multiple banquet halls to offer and with the availability of rooms makes it an ideal destination for MICE. In order to accommodate your guest from far and wide, we have at your disposal our newly refurbished 94 rooms at The Resort. 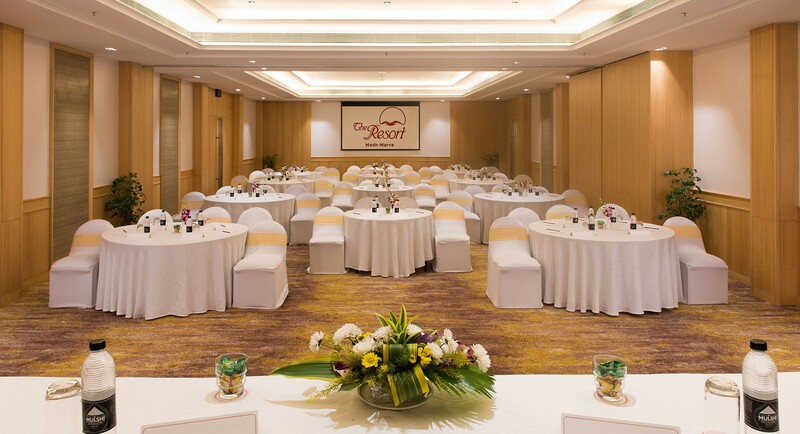 The perfect venue for banqueting and conferences of all descriptions with huge halls, customized seating options, state-of-the-art audio visual and conferencing facilities. The high speed Wi-Fi Internet connectivity allows your business managers to surf the internet and send email from designated parts of the hotel. Feast on a variety of international flavors as well as local cuisines and a vast array of mouthwatering exotic dishes, desserts, exotic mocktails and cocktails prepared by professional bartenders and renowned chefs. They turn each delicacy into a culinary delight. Be it a mehendi, sangeet, anniversary, wedding reception for family occasion, you could have the events till late and have your friends and the entire family stay overnight making The Resort your home. At The Resort, enjoy a complete wedding experience with the convenience of hosting all your wedding functions at one location. 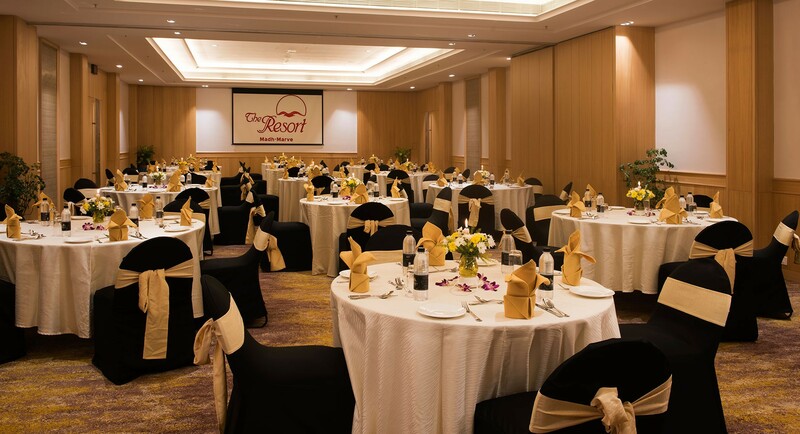 It has spacious indoor and outdoor facilities that can accommodate up to 1200 guests. For every occasion we have a professional events team at hand to create that occasion you will always remember. 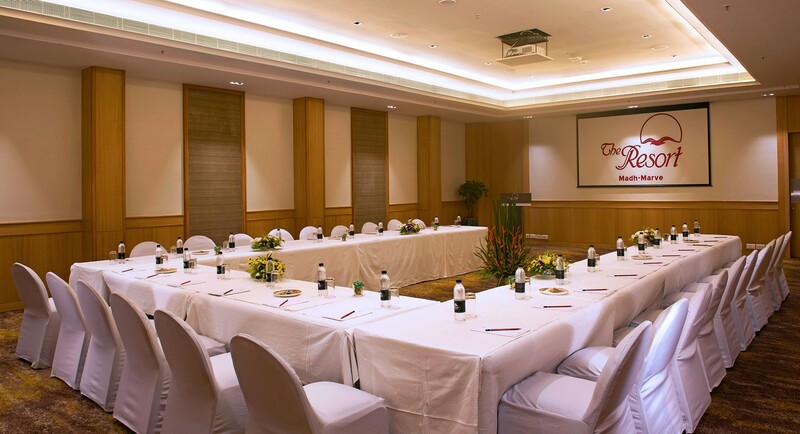 Conferences, seminars, business meetings, exhibitions, family occasions and other major events now have a lavish new setting. Malad (West),Mumbai - 400 095.